Acupuncture is one of the oldest forms of therapy in the world. It has a strong history in China and across Asia dating back thousands of years. Very ne stainless steel needles are placed in speci c points in the body. These points are called acu-points. These points are located along specific meridians or pathways that traverse the whole body. By using needles in these points our Qi (or life force/life energy) is stimulated and in doing this our body is better able to re-balance itself. Some of the ways it can help the body re-balance itself are by decreasing pain in certain conditions, helping muscles to relax, encouraging local healing and reducing symptoms of stress. Sometimes your practitioner may want to use other forms of therapy alongside acupuncture like massage. moxibustion (the burning of a special therapeutic herb over certain points), cupping (glass cups which are suctioned on to speci c points) or o er dietary and or lifestyle advice. This is all a part of the comprehensive approach to healthcare that a good acupuncturist will take. Some people feel a slight sting when the needle is first put in but most people don’t feel anything. Other sensations like vague tingling, heaviness or pulsing can also be felt, however the majority of people nd acupuncture to be very relaxing. Acupuncture should not be an unpleasant experience so be sure to tell your practitioner if you feel any discomfort. Who can have Acupuncture and is it safe? 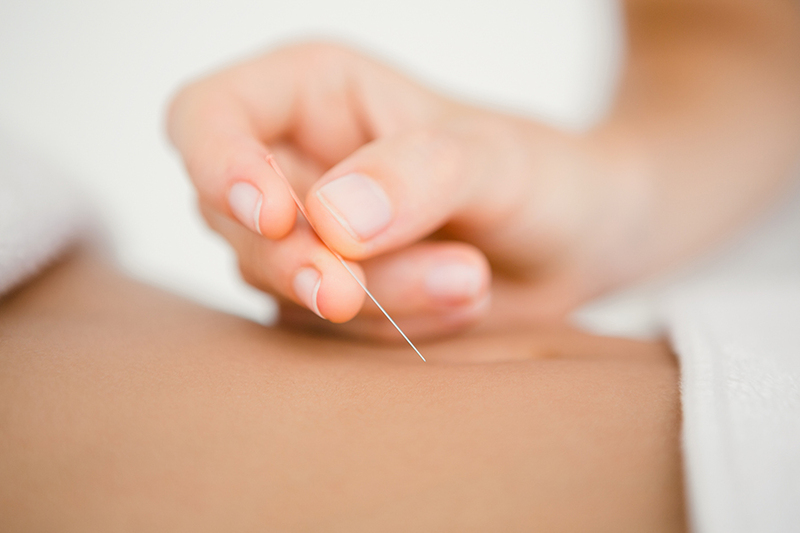 When practiced by a registered acupuncturist it is a very safe and well tolerated therapy for everyone including babies, the elderly and pregnant women. In July 2012 acupuncture became a registered profession in order to help protect the public and ensure the highest standard of practice and education from all practitioners. Since then, it has been required by law that only acupuncturists registered with the Australian Health Practitioner Registration Agency (AHPRA) and the Chinese Medicine Board of Australia (CMBA) can use the title “registered acupuncturist”. Acupuncture has been used very widely to treat a huge amount of conditions, ranging from musculo skeletal disorders, gastro intestinal and reproductive issues. Conditions such as tennis elbow, sciatica, hay fever, arthritis pain, headaches and migraines, nausea from chemotherapy and morning sickness in pregnancy and stress related issues are just a tiny example of what acupuncture can help with. The World Health Organisationrecognises acupuncture as a suitable treatment for many conditions. An initial acupuncture consultation will commonly take up to an hour or more. This enables the practitioner to gather as much information as possible from you so as to best understand your presenting problem. Some of the questions you may get asked could perhaps seem irrelevant to your issue but please trust that your acupuncturist is treating you in a very holistic manner and considering the whole person you are, rather than just the problem that you have. Subsequent consultations will often be a bit shorter in duration but this is essentially up to the practitioner and how they wish to treat you. Can I claim my treatment on my private health? If your practitioner is a member of the largest national acupuncture body in Australia (AACMA- Australian Acupuncture and Chinese Medicine Association) then you can claim the cost of your treatment through most private health funds in Australia. The amount of your refund depends on the fund itself and your level of cover.